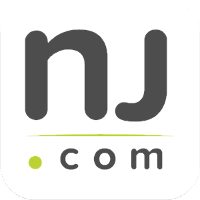 New Jersey law enforcement has been cracking down on weapons offenses in recent years. This is especially true of handgun offenses. 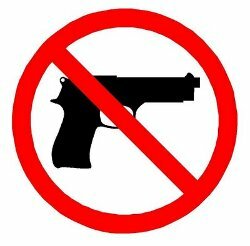 In fact, the Office of the New Jersey Attorney General has a zero tolerance policy when it comes to certain gun crimes. Anyone convicted of a serious gun-related charge faces a mandatory minimum term of incarceration in prison. Even throwing a way a handgun in a manner that is not prescribed by law could land you behind bars. That’s why it is absolutely vital for you to speak with an attorney about your case. The Tormey Law Firm can help you beat your Unlawful Disposition of a Firearm charges. Past performance matters when your future and your freedom are on the line. Our attorneys have years of experience defending clients against gun charges throughout Essex County, including Maplewood, Nutley, and Verona. Additionally, our criminal defense team includes a former county and municipal prosecutor who has insider’s knowledge of prosecutorial tactics. We know exactly how to challenge the evidence in your case and successfully fight your charges in the courtroom. Contact us now at 201-654-3464 to speak with a member of our litigation team. You can also see examples of our work by viewing the firm’s Successful Firearm Verdicts & Settlements page. N.J.S.A. 2C:39-8 prohibits anyone in the State of New Jersey from manufacturing, causing to be manufactured, transporting, shipping, selling, or disposing of certain weapons without a valid license for doing so. This means that you can be arrested and charged with a very serious crime even if you try to do the right thing and simply discard a weapon. It is also against the law to deface a firearm. Any person who knowingly disposes of a defaced firearm faces third degree felony charges. Additionally, anyone convicted of transporting a firearm into the State of New Jersey for the purpose of disposing of that firearm to another person may be charged with a second degree felony. A conviction for this charge will result in a sentence of 5–10 years in prison. Perhaps the worst consequence of a conviction for Unlawful Disposition of a Firearm is that there is a presumption of incarceration. This means that you will probably be going to jail if you are convicted. The Graves Act, which mandates a minimum mandatory term of imprisonment, applies to the unlawful disposition of machine guns, shotguns, assault firearms, and defaced firearms. A lawyer might be able to help you avoid the mandatory prison term, but they will need to secure a Graves Act Waiver from both the presiding judge and the prosecutor in your case. The Tormey Law Firm has the experience needed to combat your Unlawful Disposition of a Firearm charges. Call us today at 201-654-3464 to speak with one of our knowledgeable lawyers about your case, or email us to schedule a free consultation at our Newark office.